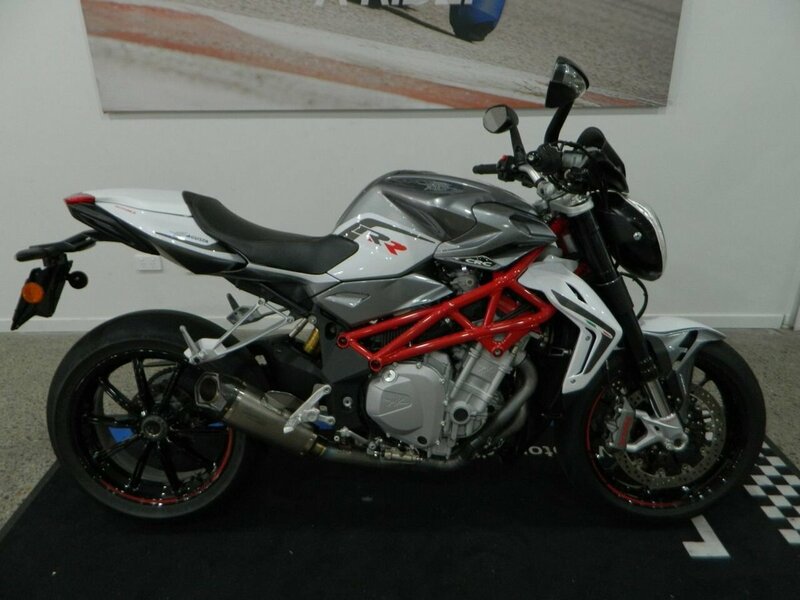 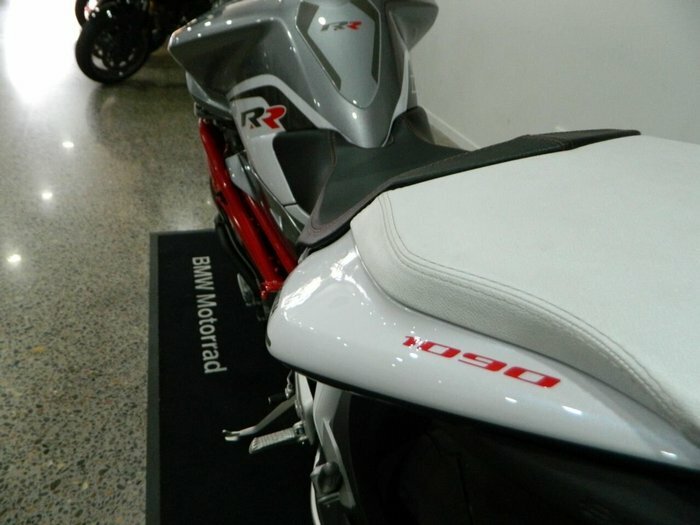 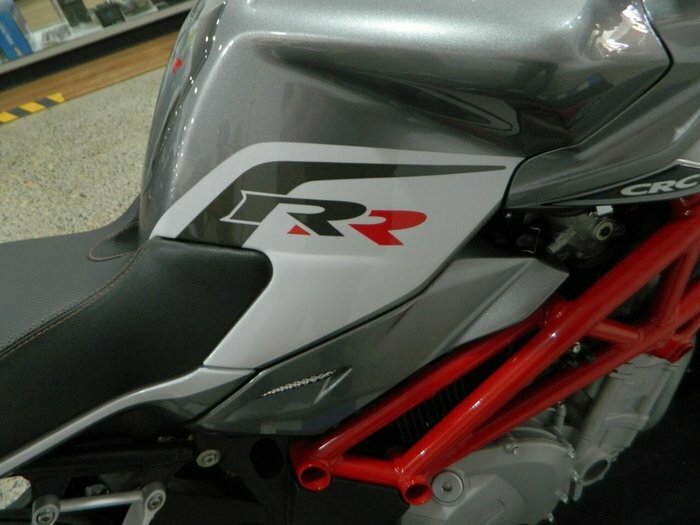 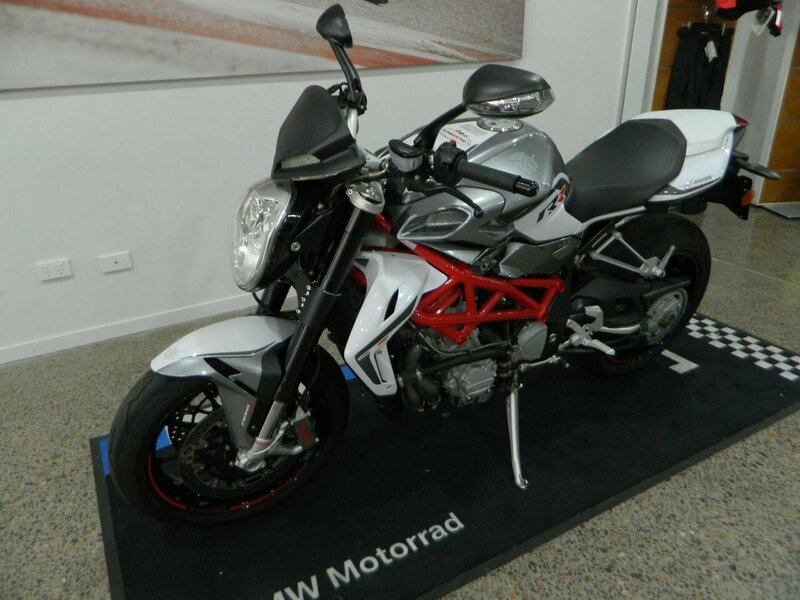 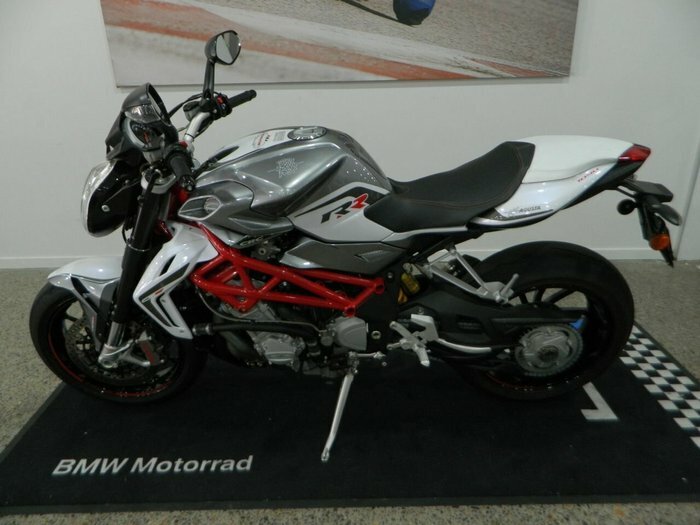 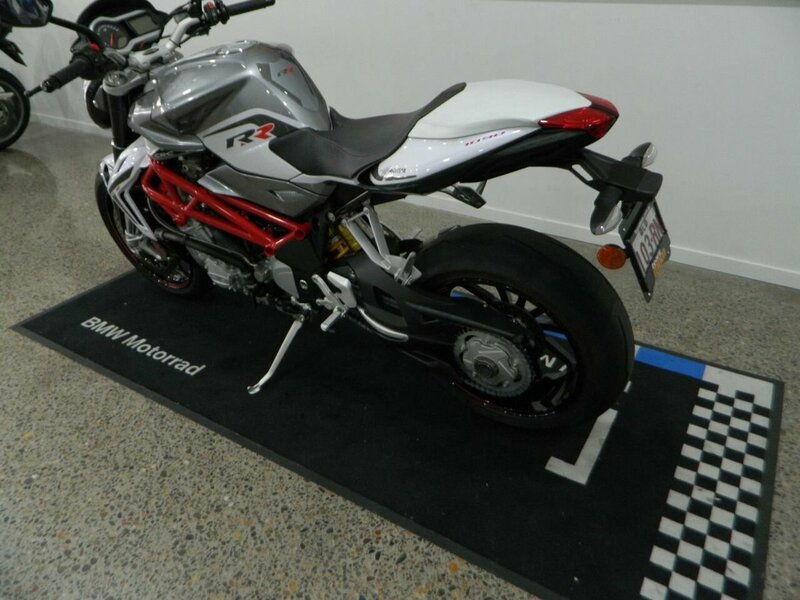 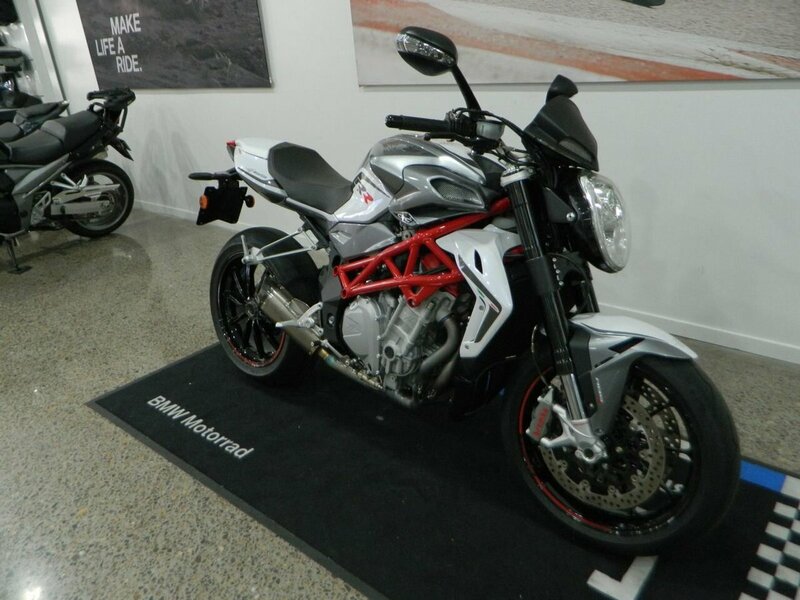 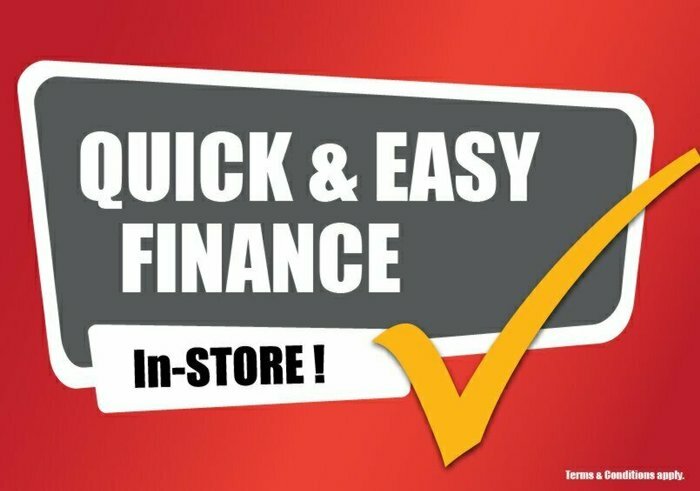 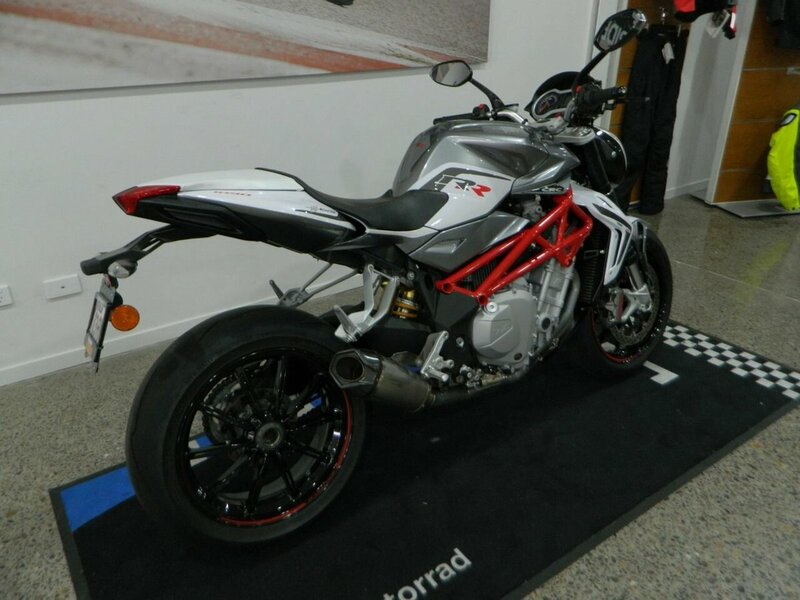 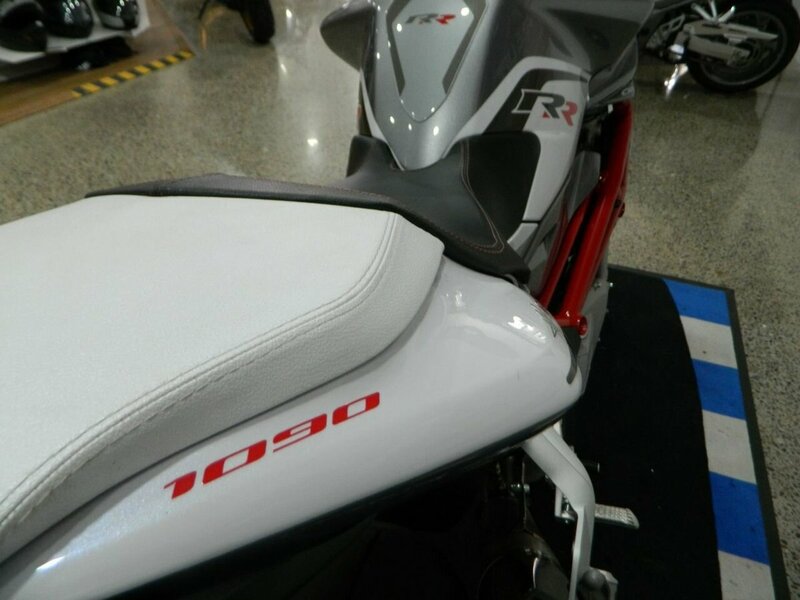 2018 MV Augusta 1090RR Brutale- Ex Demo Save $$$- $24990 Ride away^When you say Brutale, you think MV Agusta. 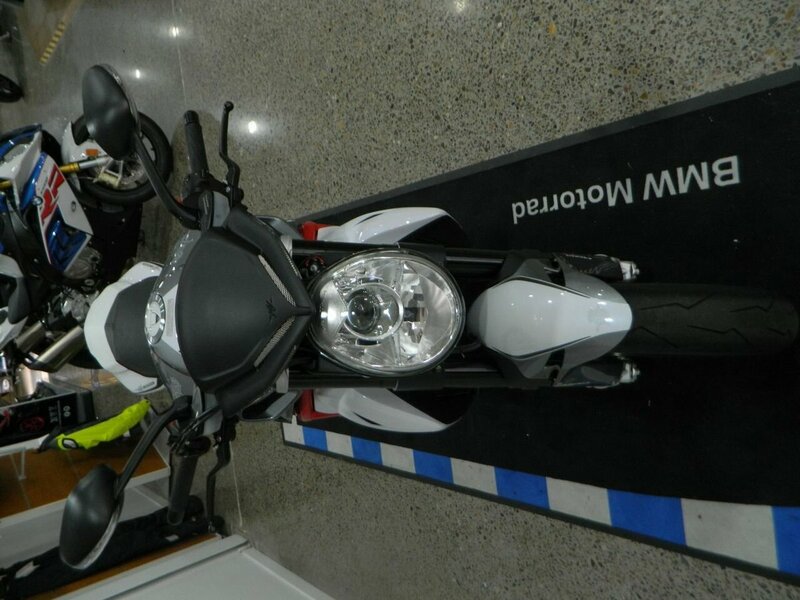 The Brutale has already made motorcycling history. The child of ingenious intuition, way back in 2001, it redefined the concept of naked bikes.^^Features may include:^^In-line four, four-stroke engine with two maximum power configurations: 144 hp (106 kW) at 10,300 rpm and 158 hp (116.5 kW) at 11,900 rpm^Adjustable 8-level traction control and ABS^Modular frame with tubular steel trellis section and aluminium plates offering high torsional stiffness^Single-sided swingarm with adjustable shock absorber^50 mm USD forks^Brakes with radial front callipers^Engine^The in-line four-cylinder architecture is part of MV Agusta's history, which is fully expressed in the engine found in the entire Brutale range. 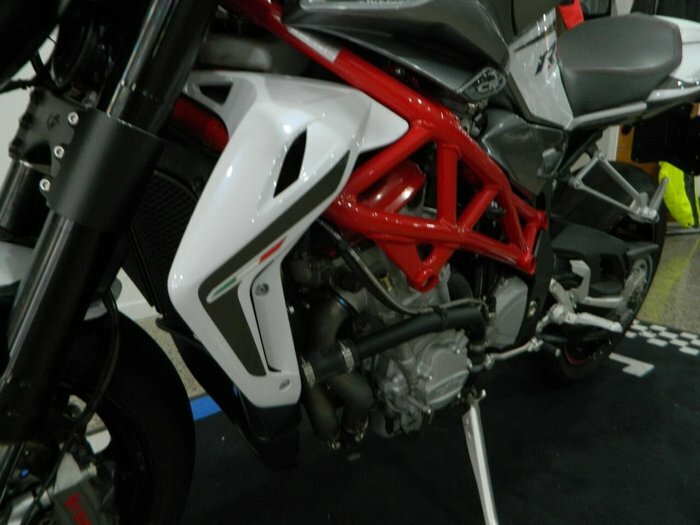 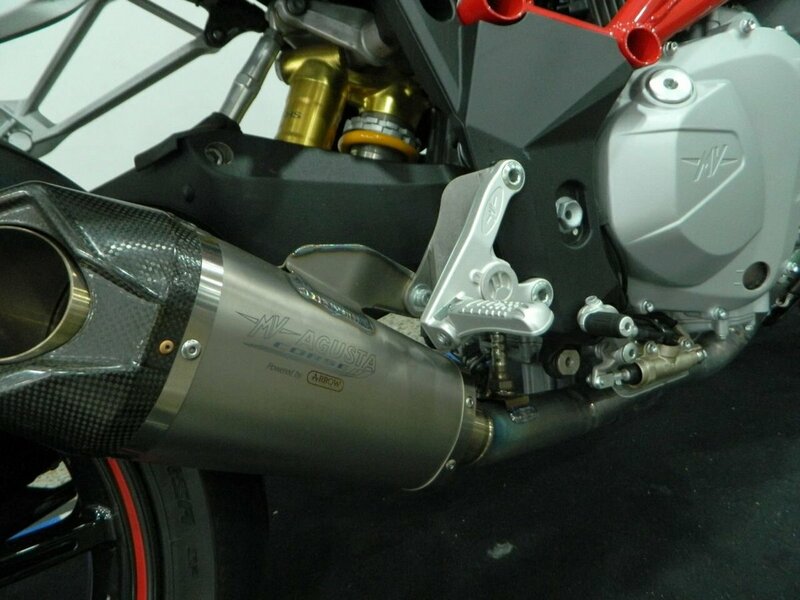 The engine displaces 1078 cc, with a bore and stroke of 79 mm and 55 mm respectively. 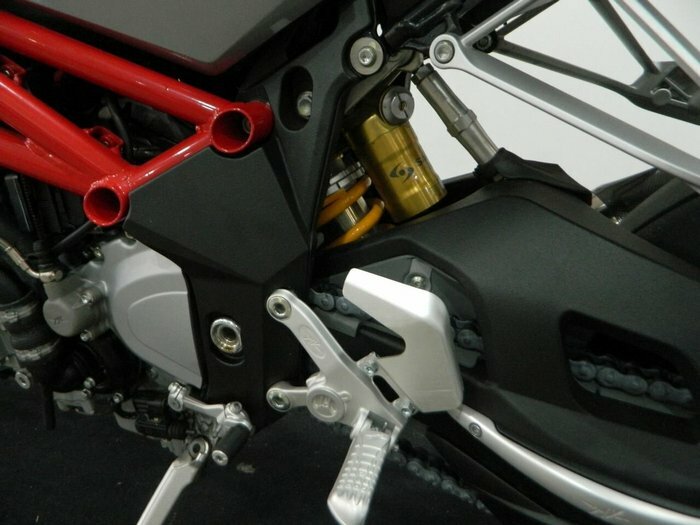 The double overhead camshaft with four valves per cylinder, arranged in a radial pattern, is unique in the motorcycling industry. 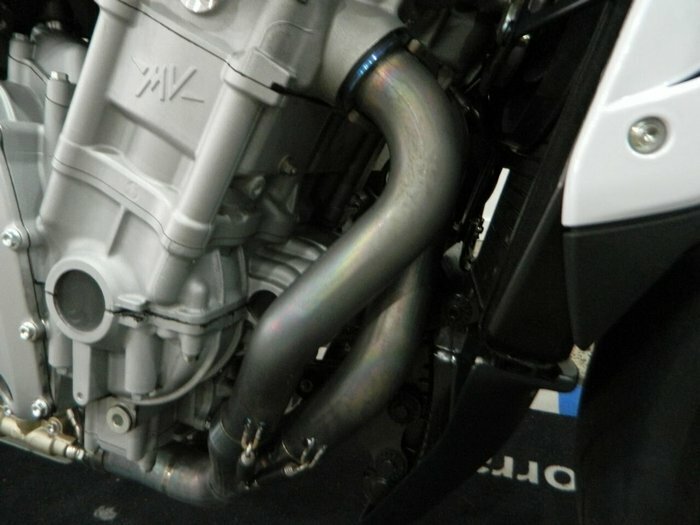 It is liquid cooled with a separate radiator cooling the oil. Two engine configurations are offered, featuring different maximum power and torque levels.^^Design^Form and function: following these inspirational principles, the Brutale continues to fascinate. 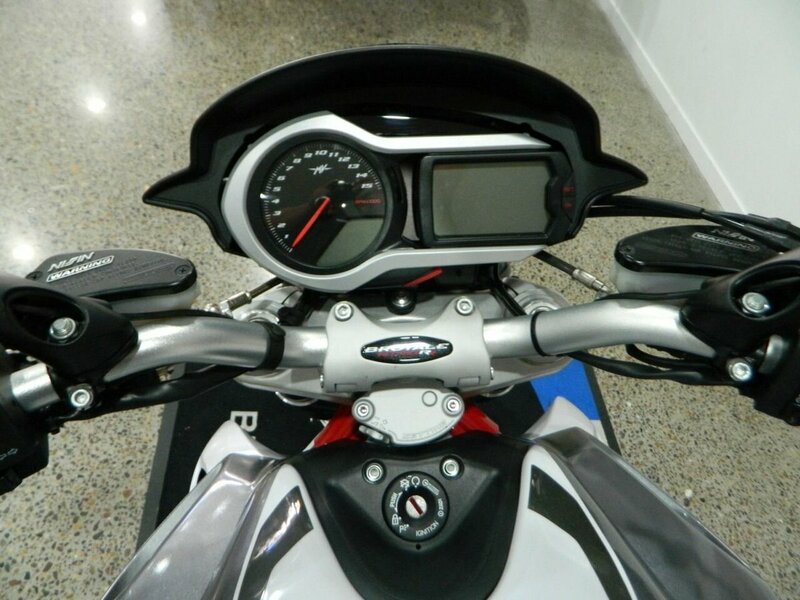 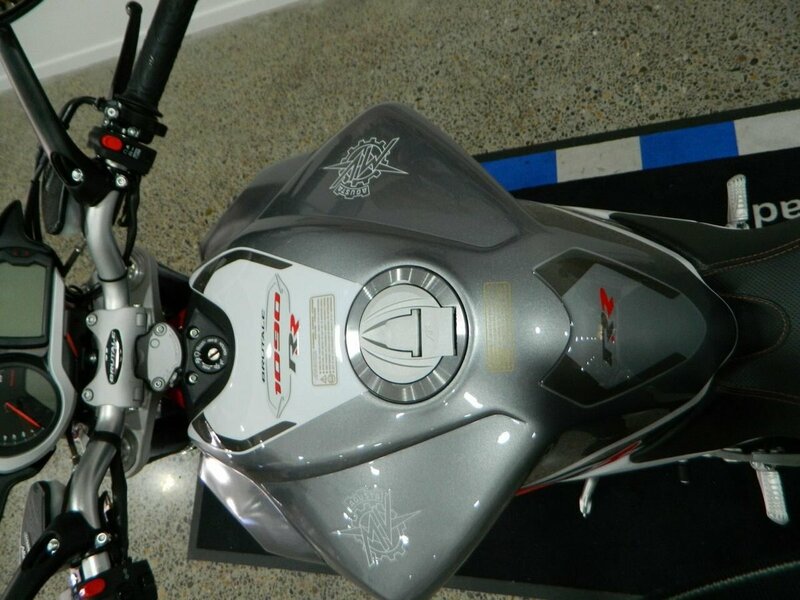 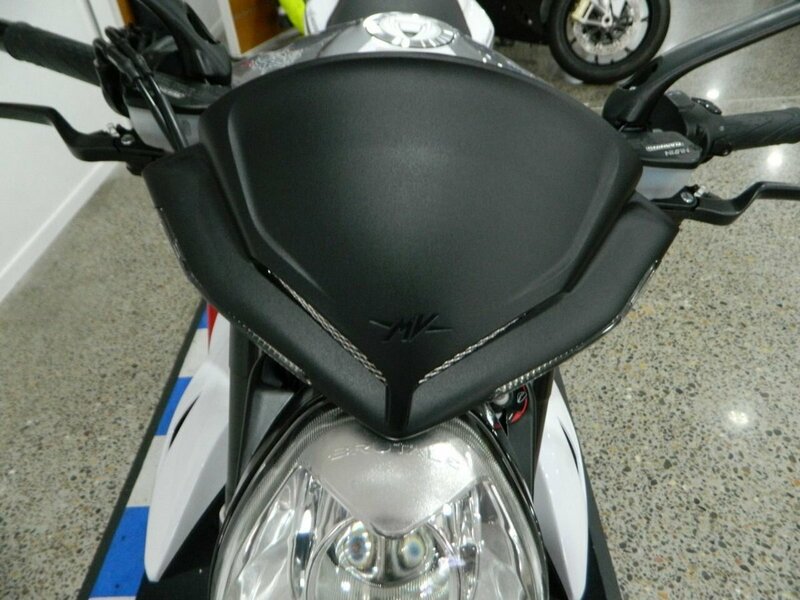 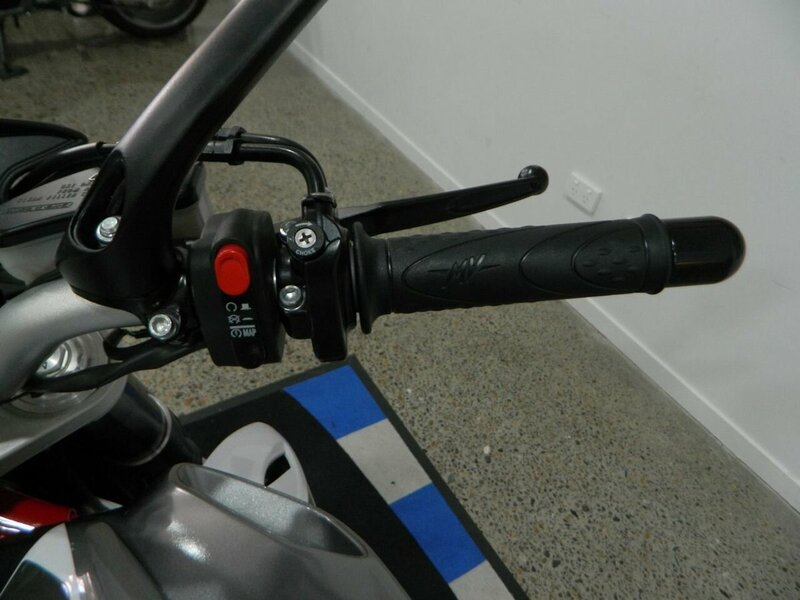 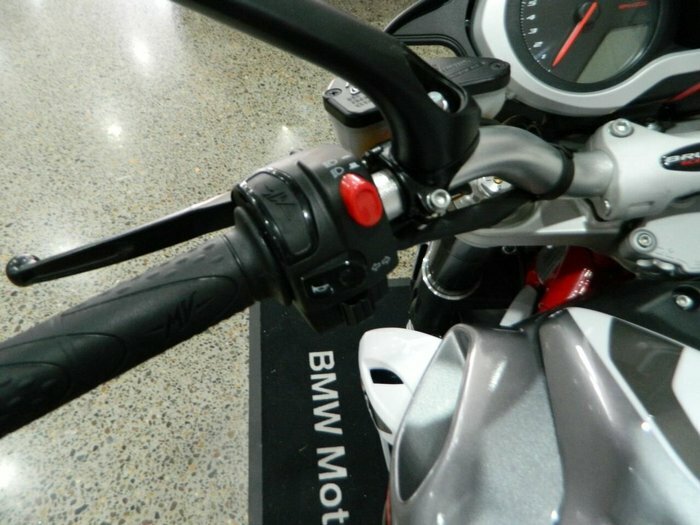 Having immediate impact are the day running lights, arranged symmetrically on either side of the instrument cluster fairing, enhancing the entire front section whilst also making the motorcycle more visible and therefore safer during day and night. 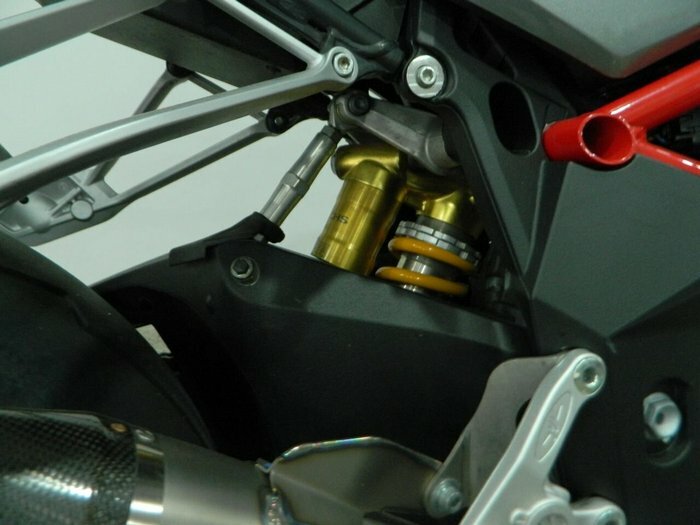 Another ray of light comes from the four-cylinder engine, now silver, a color that emphasises its compactness and the careful placement of each of its elements.^^Frame^The composite frame of the Brutale consists of a high-strength tubular ALS steel front section and two aluminium plates in the single-sided swingarm pivot zone.^^Brakes and Suspensions^The braking system on every Brutale motorcycle employs only the highest quality components with two 310 mm diameter floating front discs on the Brutale 1090 and Brutale 1090 R and 320 mm diameter discs on the Brutale 1090 RR; a 210 mm steel disk is fitted to the rear. 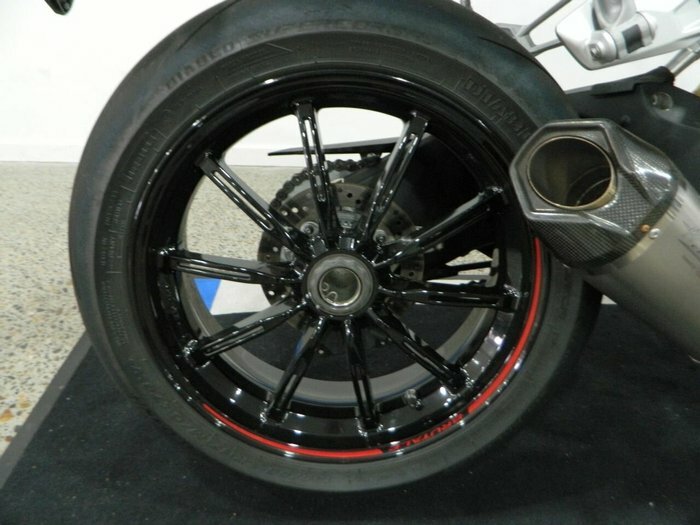 Both front and rear feature four-piston callipers. 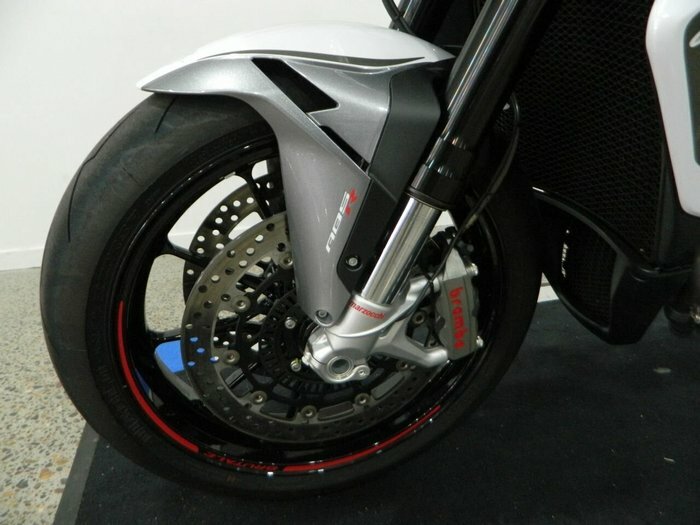 The Brutale 1090 RR uses Brembo monobloc front callipers for ultimate braking efficiency at the lowest weight. 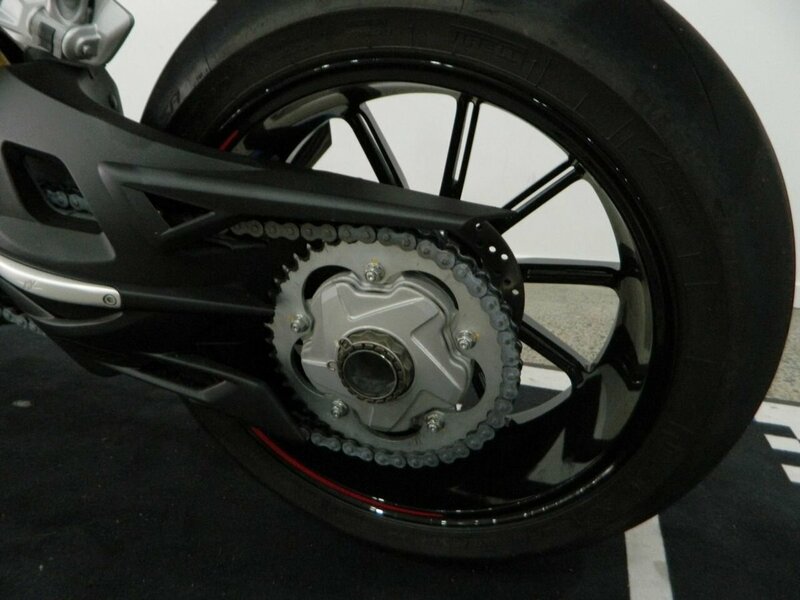 The ABS system, developed in cooperation with Bosch, is equipped with RLM (Rear wheel Lift-up Mitigation).